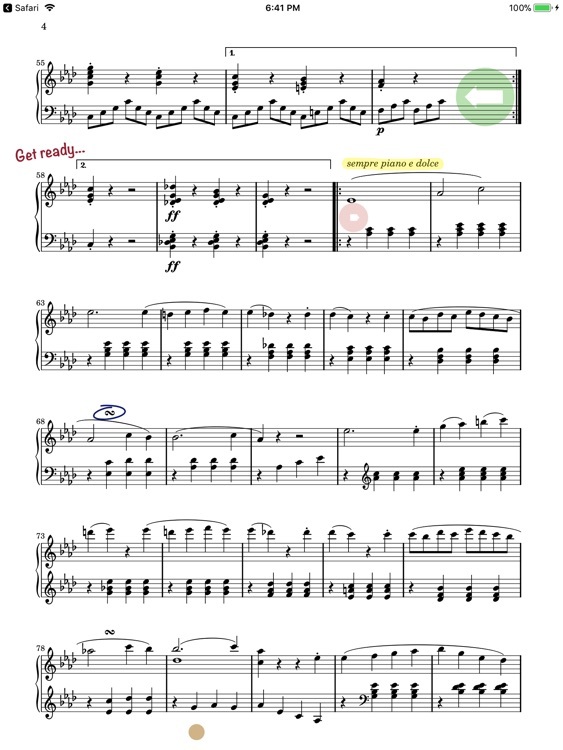 Paperless Music is a powerful, easy to use music reader that manages all of your sheet music, guitar tabs, fake books, and scores. Enjoy the convenience of having your entire music library with you for any occasion. • Import PDF files from virtually anywhere, such as Files, iCloud, Safari, AirDrop, Mail, and document sources from other apps on your device like Dropbox. 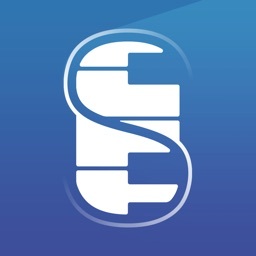 • Import images from your photos and camera. • Edit images with nondestructive cropping and adjustments for brightness, contrast, and saturation. 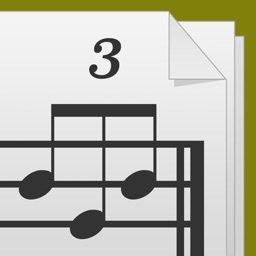 • Create collections for organizing groups of music. 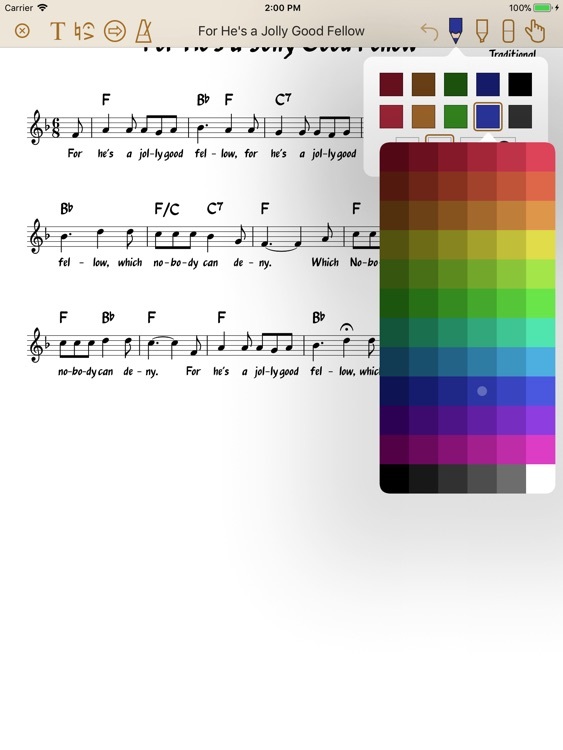 Collections can be used for just about anything, like grouping together music for a performance, or for making a virtual binder or book. 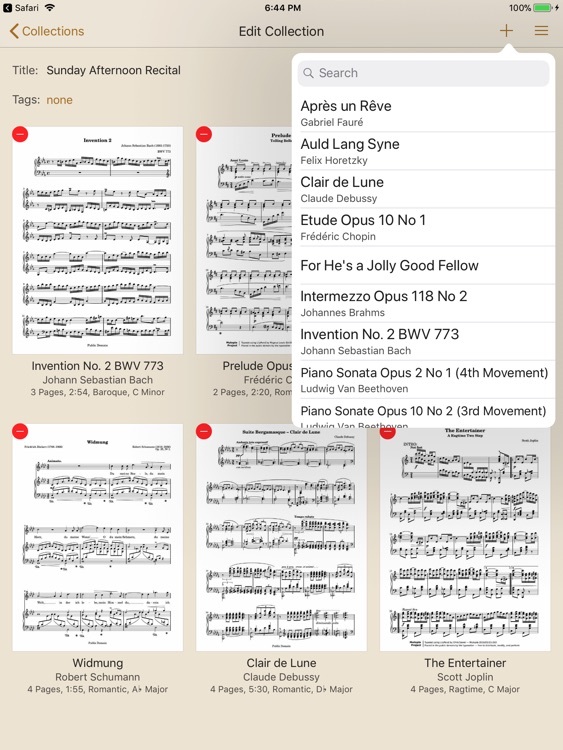 • Set the title, composer, genres, key, duration, web link, and notes for any music document. • Set the title and tags for any collection. 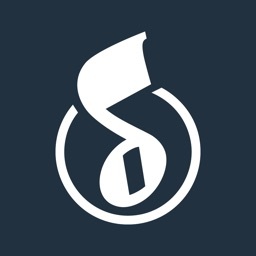 • Filter and search to quickly find the music or collection you’re looking for. • Search using Spotlight. Find and launch right into your music even when the app isn’t running (on compatible devices). 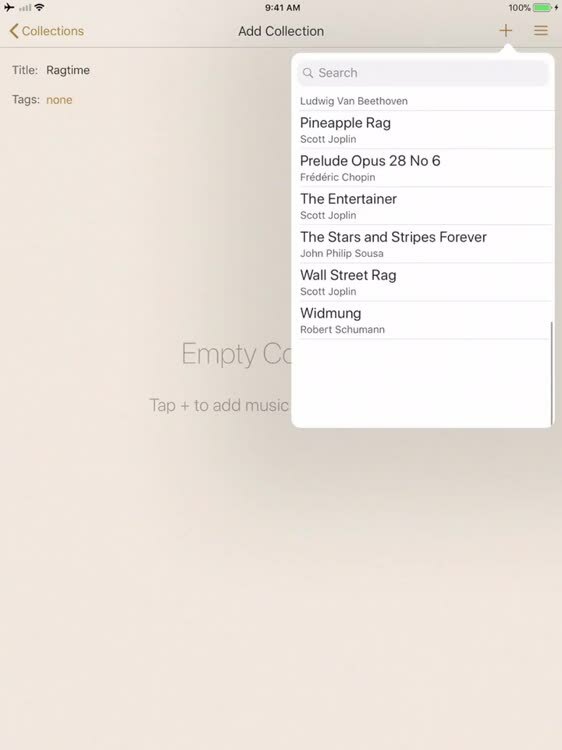 • Turn pages by swiping left and right, by moving the slider at the bottom of the screen, or by jumping directly to a document within a collection. • Turn pages directly within a document’s icon by swiping left and right. 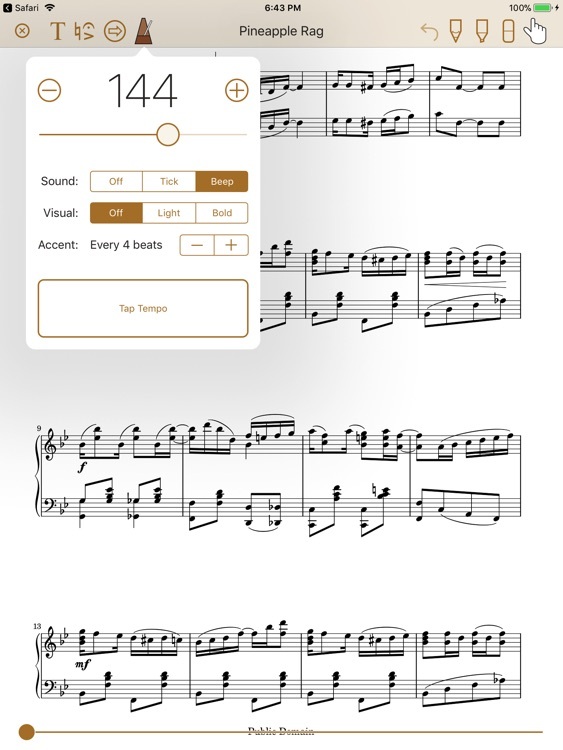 • Optionally use a Bluetooth page turner, such as those from Coda Music Technologies, PageFlip, and AirTurn. 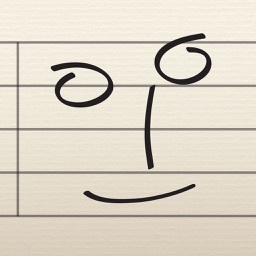 • Use the pencil and highlighter tools to write on your music. • Add text with options for size, rotation, color, font, and justification. 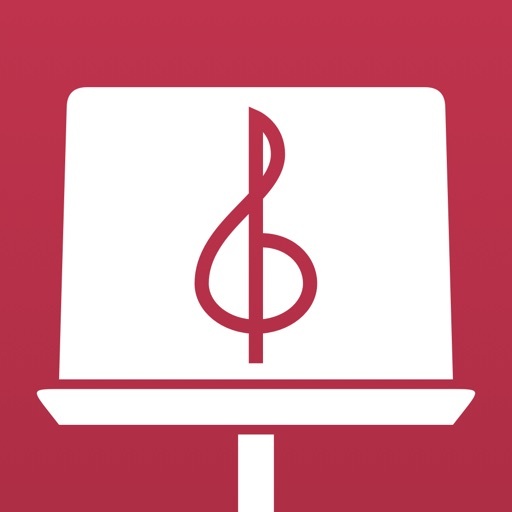 • Drag and drop symbols to add fingerings, dynamics, accidentals, and more to your music. • Add links to jump from one page to another, making it easy to follow repeats and jumps, with a configurable delay to help when your hands are busy. • Use the low-latency metronome with options for sound, visuals, and accent. • View music in portrait or landscape mode. When in landscape, see two pages side-by-side. • Use split screen to use another app alongside (on compatible devices). • Aside from importing music from remote sources, no network access is required throughout the app, allowing you to perform in any environment. 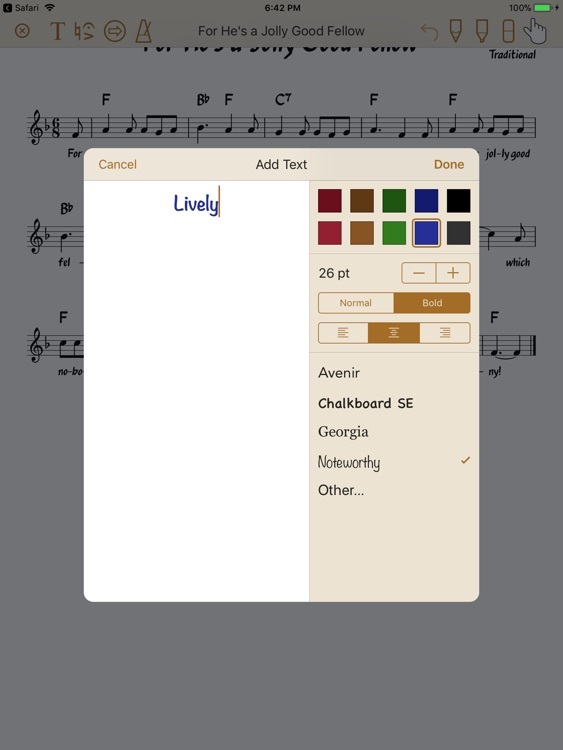 • Share your music and collections with other Paperless Music users, with or without your annotations. 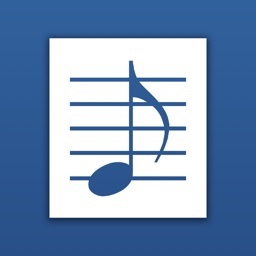 • Share music in native format to preserve all information, or share in PDF format for general sharing and printing. • Archive your library to easily back up, restore, or transfer everything to another device. Paperless Music has no ads, no in-app purchases, no subscriptions, and no accounts are required.